Ctrl-X. A topography of e-waste explores the irresponsible handling of limited resources, one of the most pressing problems of our globalized world today. Kai Löffelbein follows the electronic-waste trails from Europe and the United States to the post-apocalyptic scenery of Agbogbloshie in Ghana, the e-waste city of Guiyu in China and the backyard workshops of New Delhi. 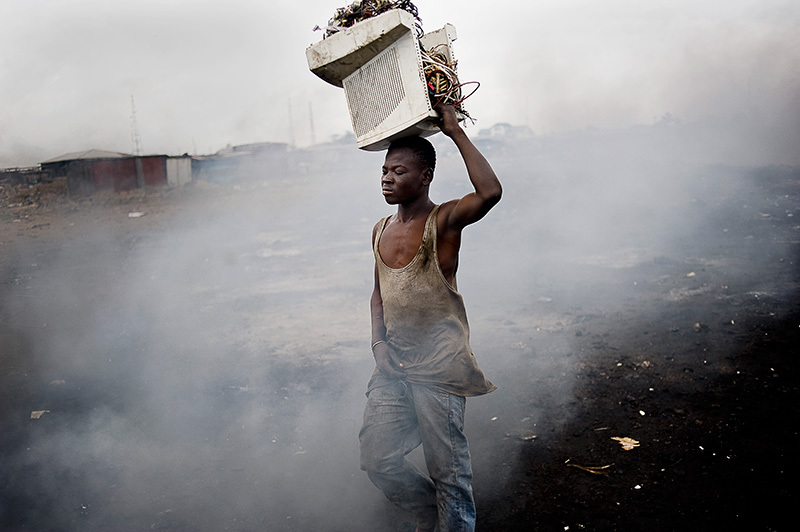 Here he meticulously documents the appalling conditions under which workers, sometimes even children, attempt to recover any valuable raw materials contained in our e-waste, refuse that is illegally exported from the West in order to bypass expensive recycling. In an increasingly digitized world, a life without electronic devices seems inconceivable for us: computers, cell phones, MP3 players and tablets have become our daily companions. And as long as we continue to define ourselves by the products we consume – the latest smartphone, the fastest processor and the thinnest laptop – the millions of tons of e-waste produced annually will continue to increase.